According to a report coming from Taiwanese PC industry sources, via DigiTimes, Intel is scaling down CPU shipments to DIY distributors. This plan will unfold during Q4 and will have a knock on effect on motherboard makers, and due to the laws of supply and demand, will likely adversely impact retail CPU pricing. The key statement from the DigiTimes report is that Intel will cut supply for the PC DIY market to just six million CPUs in Q4 2018 (that is a two million cut). The reason for constraining shipments for this market segment is that it will allow greater shipments for systems makers for pre-built PCs, laptops and servers. Taiwanese motherboard makers are expected to face a 10 to 20 per cent decline in sales due to Intel's decision. HEXUS has previously reported on Intel CPU shortages and the firm's plans to outsource to TSMC to make up for some of the shortfall in its own 14nm process capacity. There are some further interesting nuggets in the DigiTimes report linked above. It seems to suggest that sales of Nvidia Turing based GeForce graphics cards are low, due to pricing. The report also sums up the current fortunes of component makers like Asus, Gigabyte, MSI, TUL and more. Only MSI is managing to achieve better than expected growth with its GAMING products in the current climate, according to the insiders. As a reminder, other key PC component supply trends look favourable for end users right now. Our latest report on DRAM forecast continued price drops and that should continue in 2019. Furthermore, SSD prices will continue to tumble in 2019 due to increased NAND capacity and technology, claimed a report in October. 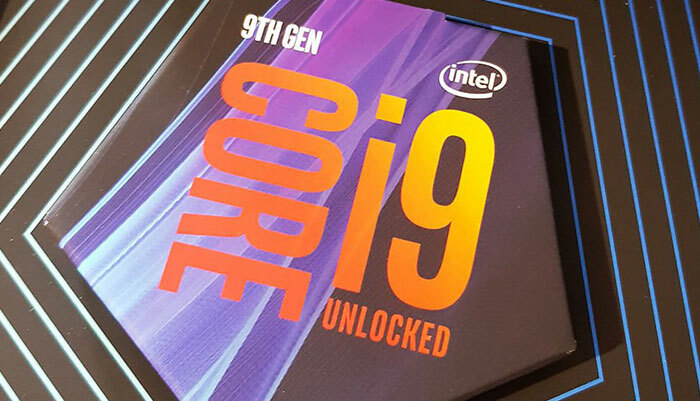 Intel tries to cover up the fact that it isn't making competitive 10nm CPUs by making them rarer than hens teeth so it can justify overcharging for what CPUs it can make. Sensible people respond by continuing to buy AMD. Surely having had its knuckles wrapped previously*, Intel wouldn't respond by trying to bribe/coerce system builders to use its (inferior) chips using the playbook of the athlon x64 era? Intel… honestly this really makes it look they don't want to compete with AMD at the moment, people who buy prebuilt systems are likely less tech savvy and will just see ‘intel’ and think it's good. Umm, no, Intel doesn't care about the law. It took nearly a decade to win 1.25B (FTC, then EU stole 1.5B giving none to AMD AFAIK…LOL typical) and they made 60B over the time in income. If I was Intel (or MSFT, they had about the same case), I'd break the law every chance I got and laugh about how rich I got while keeping the competition down for all that decade. Until fines are MUCH larger (say, all of your 60B you made during the ripoff years, or at least 2/3) and go DIRECTLY to the company damaged (in this case AMD), there is no point in ANY large company playing by the rules. You still win even after ~2.75B in fines and 60B in your coffers while killing your competition until the suit is over. I'd say Intel is happy to have the ~57B and a weaker AMD. AMD lost fabs, gave up cpu race for ~5-6yrs, lost gpu (NV rules, period, even when AMD wins a gen, it means nothing as NV just prices down until they're on top again, just like Intel until now it seems), lost 30% engineers, lost R&D (lowered every year for ages, maybe going up now, not sure Q report coming). etc etc. Nope, I'd trash any law and laugh. Business is ruthless. Not saying it's right, just why wouldn't you cheat with puny fines and all I mentioned. I had to buy AMD boards from ASUS in WHITE BOXES and had NO NAME silkscreened on the motherboards (PC biz owner for ~decade). I knew they were ASUS, but still, it sucked explaining this crap repeatedly to customers etc. It was difficult to push AMD (and I did!) with all the shenanigans from Intel. ASUS was so afraid of losing the next chipset access (whatever it was) that they wouldn't put their name on the box or Mboard. NV cards not selling well is a product of last gen being pretty comparable to them if you take RTX crap out of the equation, which most can until you have dozens of games running it great. AMD has tried to sell the future for ages and it doesn't work. SELL me what I DO TODAY and you sell more chips. AMD keeps claiming 4k makes our cards run great…LOL. Umm, you can't claim that crap when the entire market is 1200p or less. IE, 1.3% are 4k according to steam hardware survey, and only 3.52% are 1440p. So again, MAKE your design do what we do TODAY or die. Also, not enough oomph in RTX stuff yet, at 7nm though, they will run off the shelves again, as they should be FAR more capable just by doubling or tripling the RTX cores etc and bumping up the regular side a bit. That will make the card again worth buying and not stuck at 1080p and barely doing raytracing etc. Yes, I'm an equal opportunity basher ;) Great tech and cards, just too high vs. current NV tech (1080ti needs to drop etc, and these slot in, then price works). New tech that is usually turned off, is just seeding the market, they need to price it as such to get the tech off the ground. But hey, raise the price until the market stops you. They just got stopped :) Suffer slow sales for a bit and price drop a few weeks before AMD 7nm hits to clean some supply off the shelves. Just wait a few months people, and you'll get an RTX card at last gen prices. Then get ready for 7nm price hike as NV dominates AMD 7nm surely in watts/heat/probably perf as AMD refuses to sell what we ACTUALLY do (GAME!) and instead give us 4k-8k claims next etc, wasted mining transistors, wasted compute junk, wasted expensive (shortages too) HBM/HBM2 crap etc and this kills pricing. NV wins usually because they concentrate on FPS at the res most people play 1080p! They get the best margins because they USUALLY don't waste money on crap like HBM, and have less shortage issues to boot. RTX tech isn't wasted crap, just not ready yet until software and more cores get added to the gpu. If they had launched this tech with 7nm we wouldn't be reading or talking about this.